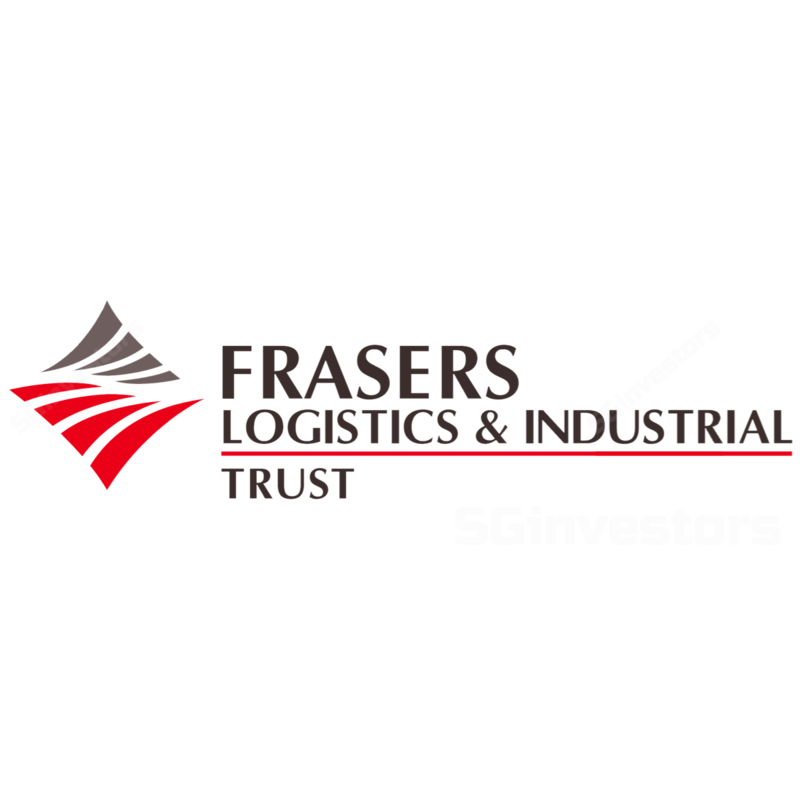 Frasers Logistics & Industrial Trust (FLT)'s 4QFY9/17 DPU of 1.77 Scts beat our expectation of 1.57 Scts, and was 8.6% above IPO forecast. The beat came from inorganic boost from the portfolio acquisition. Portfolio cap rate firmed 16bp to 6.71% from 6.87%. 4QFY17 NAV expanded to S$0.94/unit (3QFY17: S$0.92). Portfolio occupancy was full at 99.4%, with WALE of 6.75 years. The REIT recorded average reversion of -15.9% during the quarter. Maintain Add with an unchanged TP. We believe that FLT will continue its acquisition rate of A$150m-200m p.a. over the next two years which could catalyse the stock. Frasers Logistics & Industrial Trust (FLT)'s 4QFY17 distributable income was 12.1% above the IPO forecast, backed by contributions from the four completed properties (part of the portfolio transaction) acquired in Aug 2017. The REIT also benefited from interest savings from lower borrowing cost of 25.8% p.a. vs. the IPO forecast of 3.4%. Portfolio cap rate firmed 16bp to 6.71%, higher than our expectation of mid-single digits. The eastern seaboard states experienced cap rate compression. The tightest was NSW which felt 24bp compression. South and Western Australia experienced 66bp and 33bp expansion, respectively. Eastern seaboard cities make up 97.3% of FLT’s AUM. Gross revaluation gain of A$35.5m was partially offset by the writing off of stamp duties and amortisation of straight lining of rents and capitalised incentives. During the quarter, FLT renewed two leases in Victoria and signed a new 3-year lease with Adelaide Packaging Supplies in South Australia. In total, c.31.9k sqm of space (13.1% of GFA) was leased/renewed. However, the REIT recorded average reversion of - 15.9%, mainly due to the forward lease renewal of the DHL property at Melbourne (original lease expiry in Jun 19) which had -22% reversion. Part of the reason was because the asset was specialised and the REIT wanted to keep the tenant. In doing so, it managed to lock in the tenant for a 7-year lease with step-up of 3.15% p.a. In terms of lease expiry, a minimal 2.5% of GRI (gross rental income) is due in FY18F and another 11% in FY19F. For FY19F, some of the major leases which are up for renewal are: Coles at Smeaton Grange, VIC (c.3.9%), metro trains at Clayton South, VIC (c.1.9%) and Port Kembla, NSW (c.1.8%). At this juncture, FLT is fairly confident that the tenants would stay. Gearing as at 4QFY9/17 was maintained at 29.3% with cost of debt at 2.8% p.a. 72% of borrowings are hedged. We understand that distribution income would be hedged on a 6- month forward basis. 4QFY17 NAV expanded to S$0.94/unit (3QFY17: S$0.92). We tweak up our FY18F-19F DPU by 0.6% as we lower our interest costs slightly. We also introduce FY20F forecasts. Boosted by the portfolio transaction and stronger A$, we project a 2-year DPU CAGR of 4.6% until FY19F. Given sponsor’s Australia development pipeline, we believe FLT can maintain an acquisition rate of A$150m-250m p.a. in the next two years which could catalyse the stock. Add maintained with an unchanged DDM-TP (S$1.20). Downside risk could come from an unexpected downturn in Australia industrials.